At first I didn't know the CIRC command and I used SPL command to create a spline close to a circle. I divide the arc into 100 points, arc radius is 155mm, and robot arm is AGILUS R1100. The black circle is how I measure the pin displacement, the circle radius is 3mm. In this case if I divide the arc into 100, the accuracy will be 3mm/150mm. If I divide the arc into 1000 points, the accuracy will be increased, and the displacement will be less than 0.1mm. Which I think is OK. But I am not sure if a 1000 division number will reduce the speed of the whole system. After then I found there is a CIRC command, and it seemed more reasonable than a 1000 division Spline. So in this case I assume that no matter what tool I use (I did not try kuka official tool), I can not control the point direction through out the arc, with auxilary plan in GH. I think this kind of "fixed pointed" arc movement is very common in robotic arm, and I believe the arm in this video did not use a 1000 division Spline, nor did it encounter some direction problem like my CIRC command. I am a little confused now. Is there anything I am missing? Or did I do something wrong. Thank you for your help in the past few days! I just found out that I can not define the CIRC_TYPE with KRL "CIRC_TYPE=PATH" as the picture above. 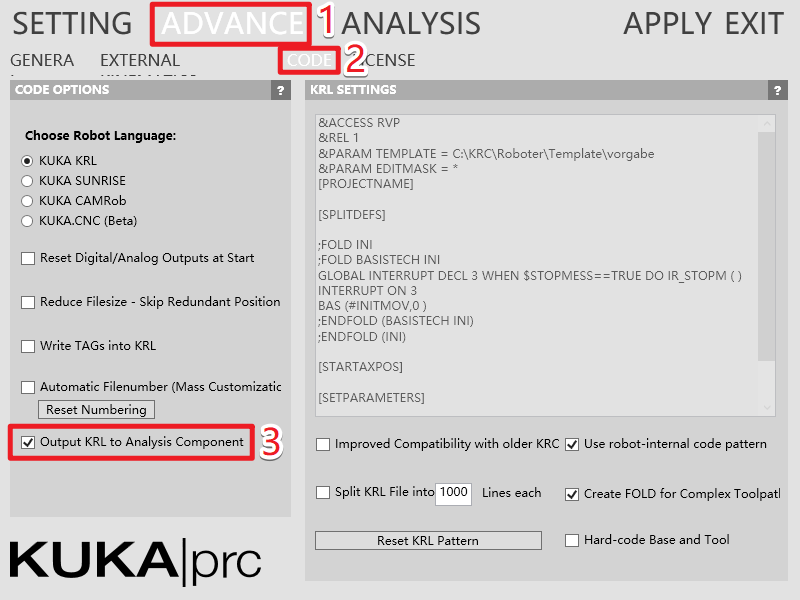 After the "KRL to command" there is still this command, but after the KUKA core and the analyze, I found that the command disappear. 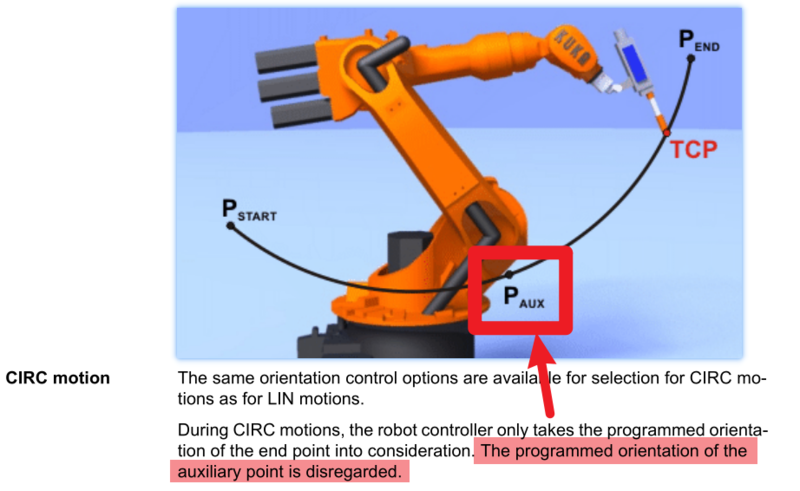 Does that mean I can not do what I want with CIRC command at all, and I will have to use a Spline? If you have other idea please let me know. I'm not sure how you wired that up, can you send me the file? Please be aware that data input into Custom KRL gets written into the *.src file, but is not simulated. You can put the 1.src file in the same folder as the GH file, and GH can read it. I don't really understand what you did there - you took a *.src file and embedded it into a Grasshopper program? 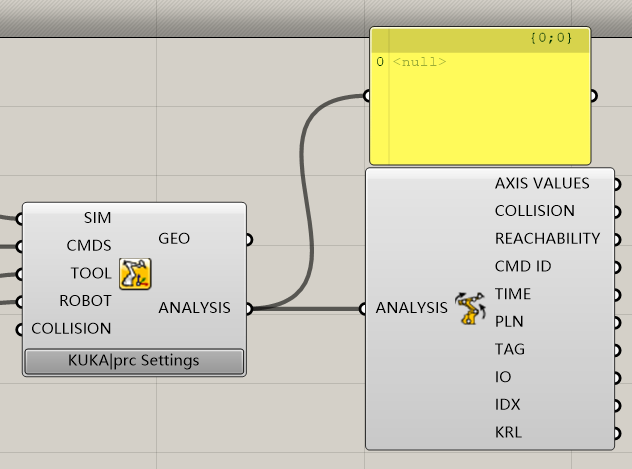 KUKA|prc needs at least one movement component, I'll need to make sure that a single Custom KRL component triggers an error message from now on. 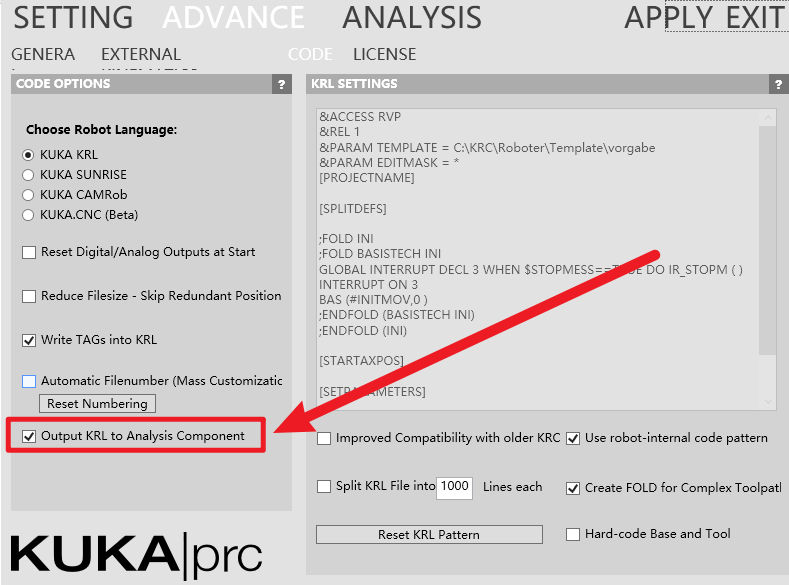 KUKA|prc will not simulate the contents of a Custom KRL component, it's mostly for e.g. triggering specific variables etc. So you could make a Custom KRL component with $ORI_TYPE=#PATH but it wouldn't be simulated. I am not sure I got the correct understanding. My understanding is :"There must be one component like CIRC, and I can add my own KRL to it"
Something like in the screenshot should work, but it will not be simulated. So while it looks identical in the simulation, it will work differently on the robot - which can be dangerous. If you look into my GH file, it will stimulate the circle movement successfully, but it did not follow the correct direction because "circ_type=path" did not work. 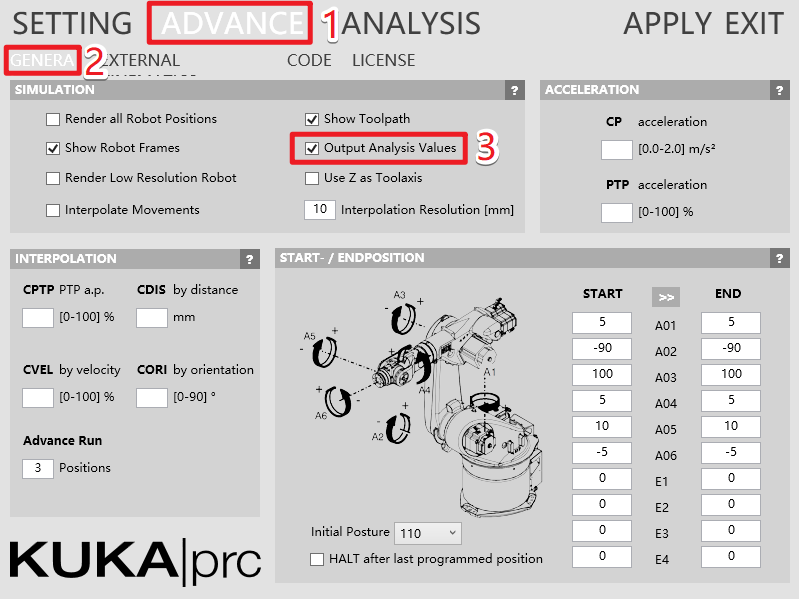 I guess that there is not way to control a CIRC movement and make the direction pointed at the circle center at all, with KUKA pro. The only way for me is to use Spline. If this is the case then I will use Spline for my stimulation. Thank you Johannes! Please confirm this for me, I have been stuck in this for many days and I really hope that there is some kind of way to control a circle perfectly. But if not, I am OK with Spline.